What is MOVE The Field? Launched in the Spring of 2018, MOVE the Field affords Young Professionals the opportunity study with a wide range of prominent choreographers and gives students the necessary tools to be a valuable asset to a professional dance company. MOVE(NYC) believes it is essential for young dancers to have greater access to the profession in order to fully be prepared for it. 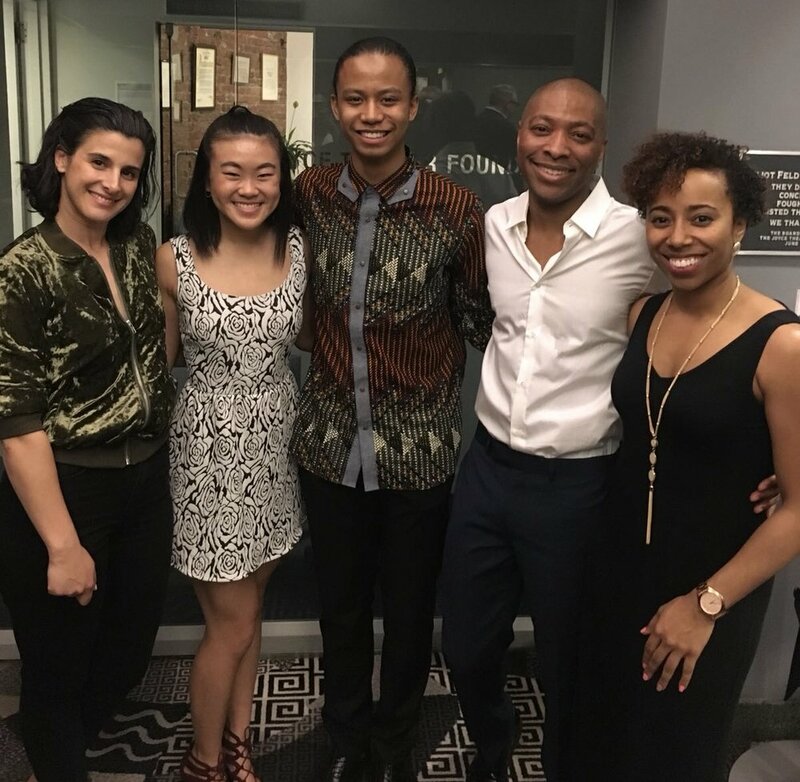 MOVE(NYC)'s long term goal is for MOVE the Field to become a gateway into New York City's top dance companies and further MOVE(NYC)'s mission of diversifying the dance profession by placing our alumni directly into it. In this pilot year, two dancers, Nouhoum Koita, 2nd Year Young Professional, and Olivia Wang, 3rd Year Young Professional, took part in a multi-tiered three-month residency with Juilliard Alum and Princess Grace Award Winning choreographer, Andrea Miller's Gallim Dance, and MacArthur Genius Grant Awardee Kyle Abraham's A.I.M, respectively. Both Nouhoum and Olivia attended live performances by each company and had full back stage access, watched and assisted the choreographer in company rehearsals, and in addition to attending MOVE(NYC)’s Summer Intensive, attended the respective company's Summer Intensive as well - all at no monetary cost.